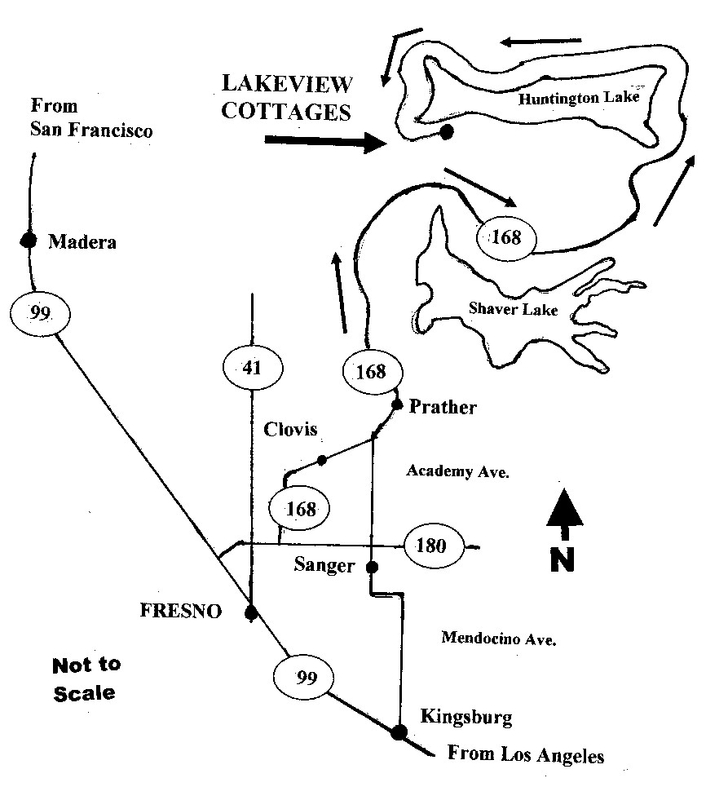 MapQuest and other mapping programs will give you a more detailed idea of the local area, but they do not like the exact address 58374 Huntington Lodge Road, Lakeshore, CA. Be sure to continue on Huntington Lodge Road, PAST Camp Keola Lane. 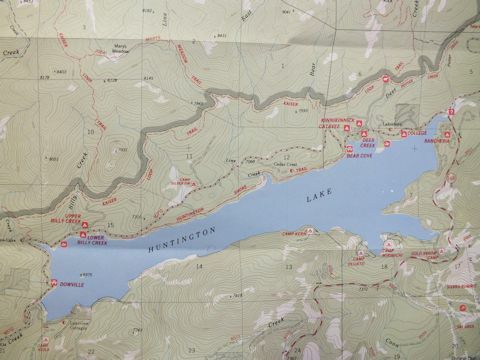 We also offer a map link based on latitude and longitude which puts the star in just the right place. 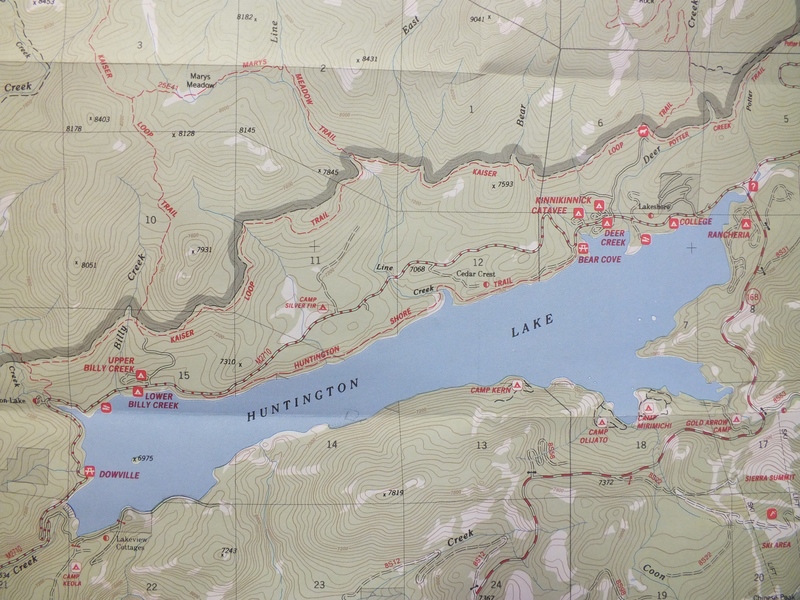 If you compare the drawn map below and the online map view, you will see that Big Creek Road goes directly from the tip of Shaver Lake to the Lakeview road, cutting off many miles. Those of us who go regularly use that route. A Google satellite map that has us in the right place, even though the roads aren't quite right. Map using latitude and longitude coordinates. 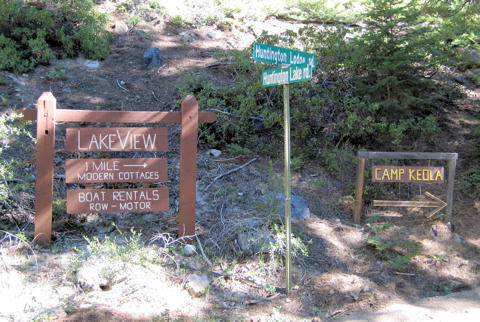 Sign pointing to Lakeview Cottages from the intersection of Huntington Lodge Rd. 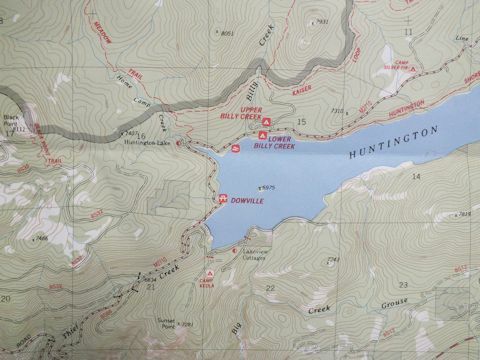 and Huntington Lake Rd. at the southwest corner of the lake.